I’m not sure that I have a good answer. I was once brilliantly described as an ego-maniac with an inferiority complex. This description best sums me up as person, while also explaining much of my behavior. However, I don’t think that it accurately defines “pride”. To define pride is sort of like a “chicken or the egg” theory. I can’t tell you if I act a certain way because of pride, or if pride makes me act a certain way. Either way, in my case, it can be a dangerous thing. Pride causes me to cast a broad net across social media, while fishing for compliments, all the while knowing that I can never have enough. Pride causes me to gossip about others, so I can feel better about myself, before it comes full circle and manifests in the form of guilt. Pride gets in the way of the apology, because I somehow feel it would make me weak. Pride causes the injury because I believe I have something to prove. Pride is the reason I feel the need to make the comment, interject unnecessarily, or try to prove my point, when no one asked for my opinion. Pride sets the stage for the world to judge, and makes me forget that no one is watching. Pride is what makes me mad when I have done something foolish, and feel the need to do hastily counteract, when the rest of the room was happy to overlook it. Pride is what allows me to give others Grace, but feel there is none that should be granted to me. Pride is what stops me from being creative, and limits my freedom by generating fear. Pride is the writer of the play; the play that always generates laughter, and leaves broken, lonely, and sad. Pride wants me to believe that I am a special snowflake, and the rules somehow apply differently to me. 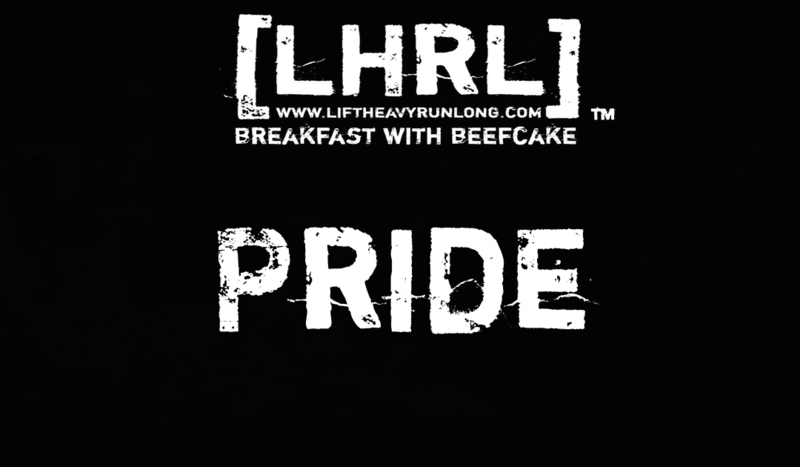 Some folks have the ability to use pride as tool to help enhance their life. For logical people, pride is something which can help them empathize, outperform, and excel in this world. My pride is generally a false-pride which causes me to constantly prove that I am not a complete idiot, which results in my trying to proof how smart I am…which usually has an opposite effect. I think pride is a gift that can help many people to push through and endure. For the over-thinker, I think it is toxic. I believe that there are too many forms, and it is masked in too much deception. I don’t have the answer. My pride wants me to believe that I should always have the answer. Humility allows me to know that I don’t need either. This hits home. Well done.